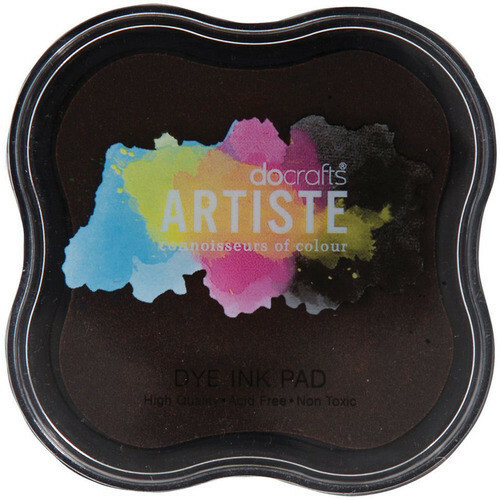 Docrafts-Artiste Dye Ink Pad: Chocolate. The perfect ink pad for your cling, clear and rubber stamps! Give your paper crafts a clear design. This package contains one 2-1/8x2-1/8 inch dye ink pad. Non-toxic. Acid free.